Rabiya Shah made a brisk 34 in 33 balls to boost Pakistan. 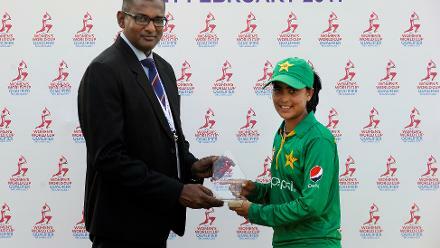 Jahanara Alam was bowled to become Sana Mir's 100th ODI victim. 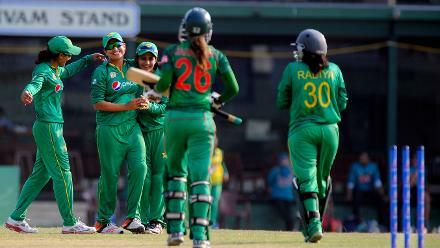 Sana Mir, the Pakistan captain, is congratulated by her teammates after picking up her 100th wicket.